Following the recent release of her double CD collection, Fan No. 2, and ahead of her brand new studio album later this year Berlin composer and producer Barbara Morgenstern now releases an EP of exclusive remixes together with her own personal rendition of the powerful Prince classic Sign O The Times.With its off-beat shuffle rhythm and funky piano riff Sign O The Times is just the toe-tapper to kick off the EP. Add to those elements Morgenstern's sumptuous pop vocals and this exclusive track is sure to be of interest to those who've already heard a live version at one of Barbara's exuberant performances where it has long been a popular encore. The first remix comes from Schneider TM who has taken the unusual remix strategy of pitching the vocals down beyond recognition to the point where is sounds like a duet. His “dub” mix of The Operator, originally taken 2006 album The Grass Is Always Greener, brings an interesting twist to this terrific pop number. 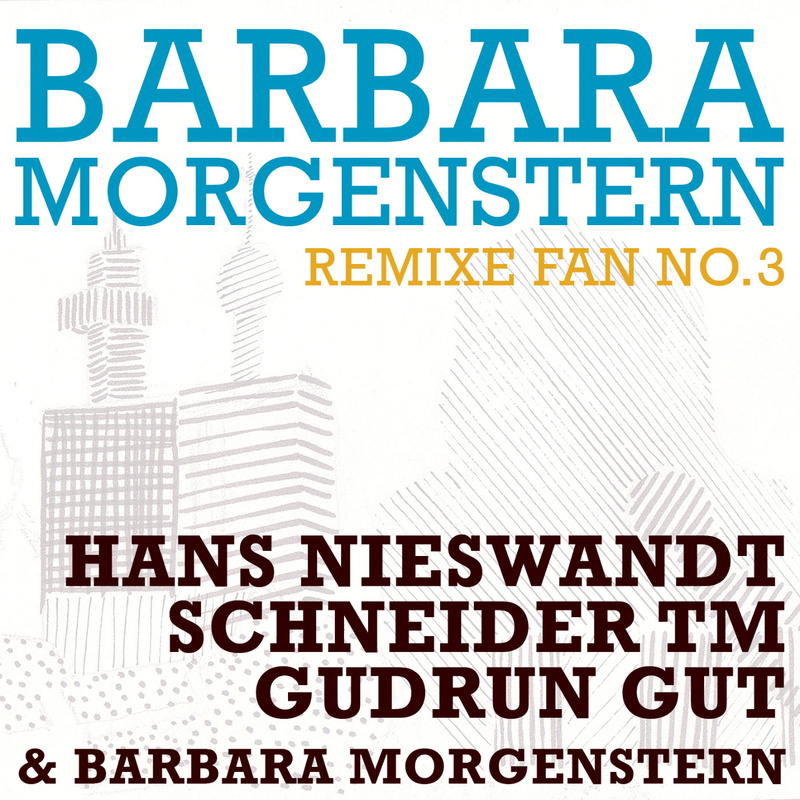 Monika label boss Gudrun Gut takes one of the most upbeat numbers on Fan No. 2, the exclusive track Mountainplace, and breaks it down giving it an new glitch-dub edge. While Gut is of course an accomplished composer in her own right, the recent Baustelle album with AGF being a fine example of her production, this remix shows she knows just how to resculpt a pop track for the clubsound.This solid EP comes to an eclectic close with the dancefloor disco-pop fusion of Hans Nieswandt's mix of Deine Geschichte. The original (trans. Your Story) appeared on Barbara's 2008 album entitled simply BM. Better known as a journalist, author and DJ, Nieswandt proves his impeccable knowledge of the groove with this fantastic remix and that he has just what it takes to get a room jumping.With 5 full albums to her credit and collaborations with the likes of Bill Wells and Robert Lippok from To Rococo Rot with whom she released the Tesri album, plus side-projects such as The September Collective or her choir, the resident house band at Berlin's Haus der Kulturen, Barbara Morgenstern's output is without question prolific. The ironically titled Fan No. 3 is sure to please all fans of Barbara Morgenstern, and you'll be glad to know a brand new album is in the works.